John was born on October 8, 1964 and passed away on Friday, June 15, 2018. 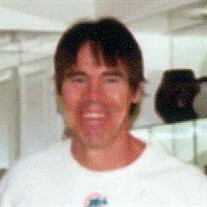 John was a resident of Florida at the time of passing. June 15 at 3:49 AM ? Skyway Bridge: Expect delays in the southbound lanes as emergency crews arriving onscene of a suicide from the top of the bridge. Marine units enroute. Body recovered by marine unit from St. Petersburg Fire Rescue. Confirmed death. The obit makes me sad. That's all they put about him. If anyone wants to try to find a FB, I was unable to find one but that doesn't mean much. I think they added a bit more to his obit. John Charles Wright, 53, passed away Friday, June 15, 2018. John was born on October 8, 1964 to the late William Wright and Ernestine Rivera in Memphis, Tennessee. He is survived by his loving family, brother, William Robert Wright and sisters, Cordelia Rines and Angela Srock. There are no public services at this time. By no public services do they mean no funeral? Yep or no funeral open to friends etc anyway.